The World Health Organisation, WHO, says there were 32 positive cases of yellow fever infection in Nigeria between 2nd of July through 19th of December 2017. The confirmed cases are part of 63 samples sent to the regional reference laboratory, Institut Pasteur de Dakar, IPD, in Senegal, for confirmation of yellow fever infection from 341 suspected cases reported from 16 states of the Federation. The affected states include Abia, Anambra, Borno, Edo, Enugu, Kano, Katsina, Kogi, Kwara, Kebbi, Lagos, Nasarawa, Niger, Oyo, Plateau, and Zamfara states. 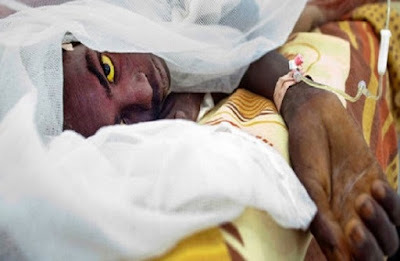 WHO said Kano, Kebbi, Kogi, Kwara, Nasarawa and Zamfara states have reported confirmed cases of yellow fever. According to WHO: “Of 63 samples sent to IPD for laboratory confirmation of yellow fever infection, 32 were positive, 24 were negative, and 7 results pending at the time of publication of the update.